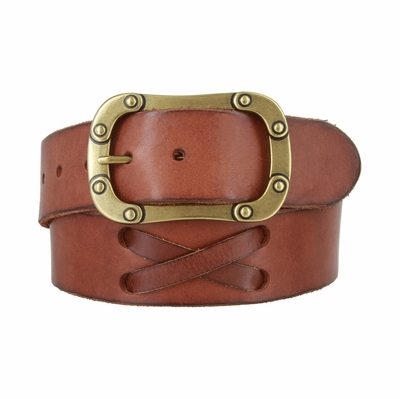 Genuine Full Grain X Pattern Leather Casual Belt. 1-3/4" = 44mm wide Soft One Piece Full Grain Leather with X Pattern Design. Comes with Snaps for Easy Buckle Change. Just snap off and snap on. Antiqued Chain Style Center Bar Brass Buckle.